The handles has a D grip form that fit perfectly in your hand. They are made with ebony black pakkawood and a cocobolo collar. 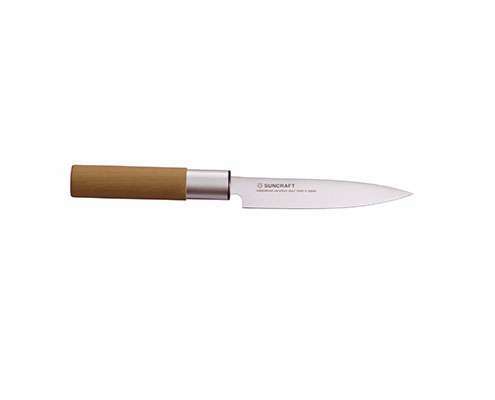 The traditionally made handles are made with Magnolia wood, and have a stainless steel bolster. 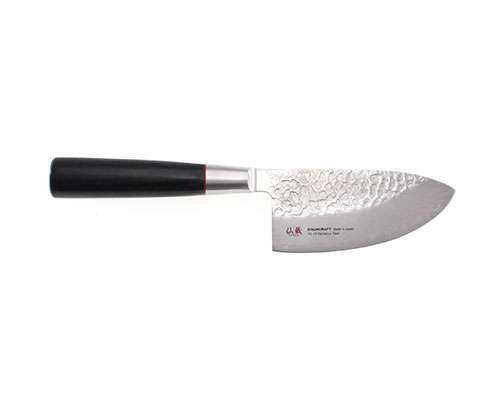 The blades are made with high-quality stainless steel containing Molybdenum. 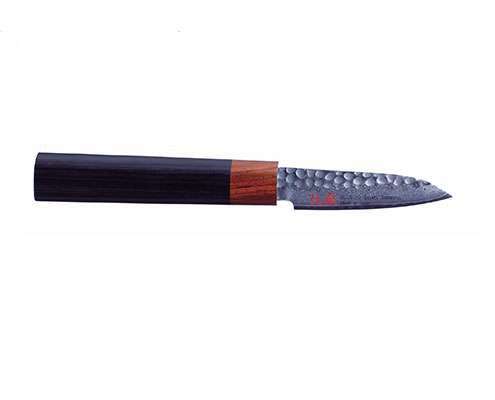 The design is simply sophisticated with the handle in black pakkawood and has a red ring. 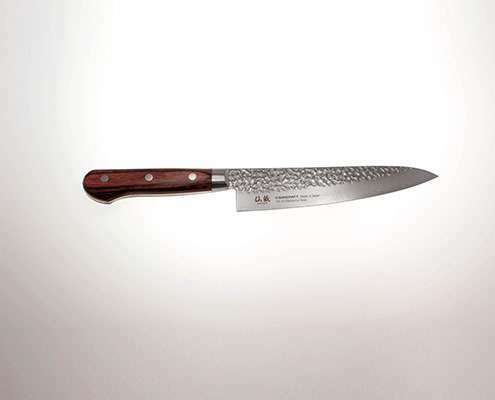 The exceptional blade, 33 layers of Damascus stainless steel with VG-10 steel as a center core steel.